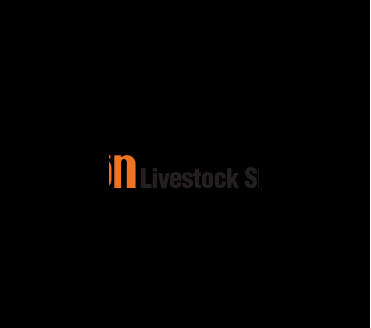 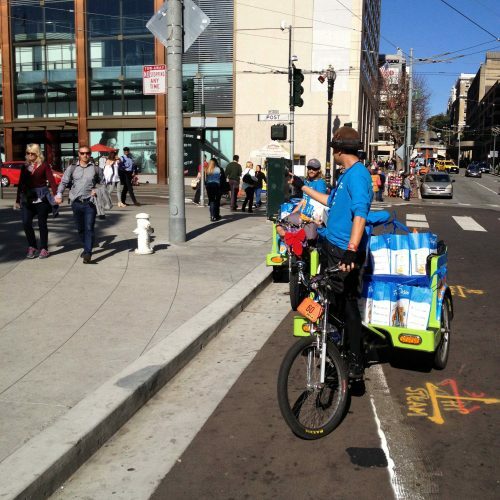 Portfolio Categories: Food and Beverage and Sampling Bike. 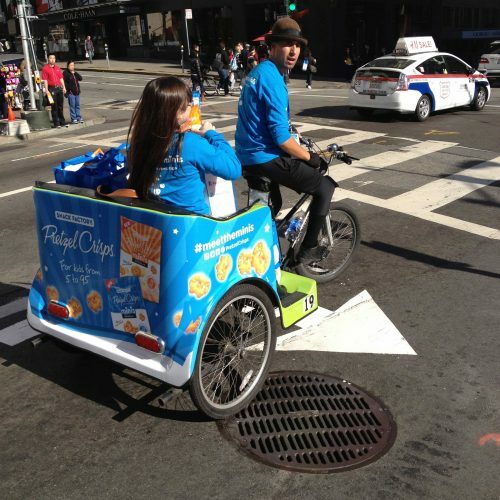 In order to grab attention at the busy, heavily-attended, Fancy Food Show in San Francisco this year, Pretzel Crisps teamed up with Pedicab Outdoor. 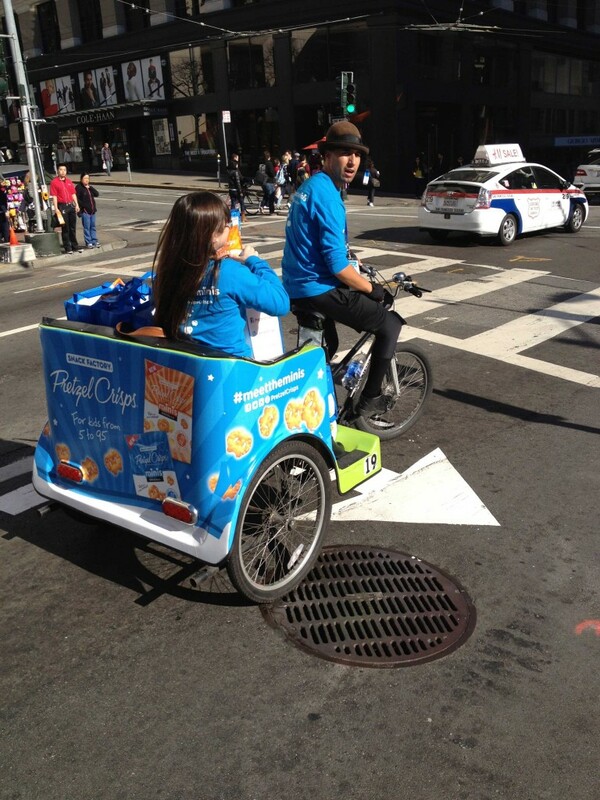 Pretzel Crisps outfitted 10 pedicabs with Pretzel Crisps branding, provided complimentary rides to Fancy Food Show attendees while passing out samples of the product. 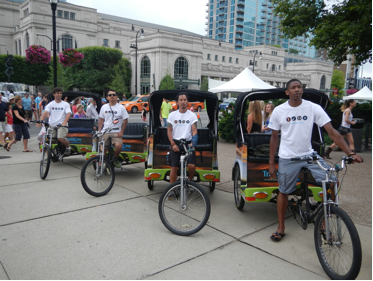 Tote bags were also offered to attendees and coupons were handed out. 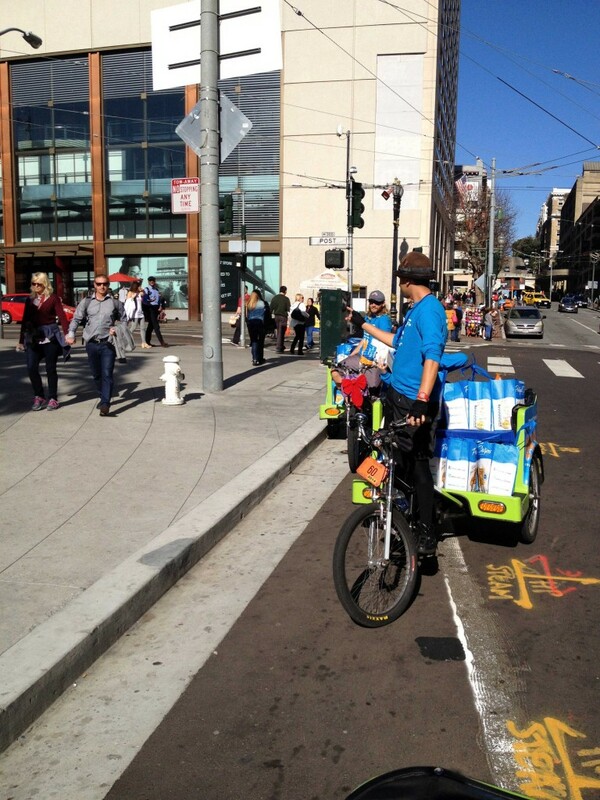 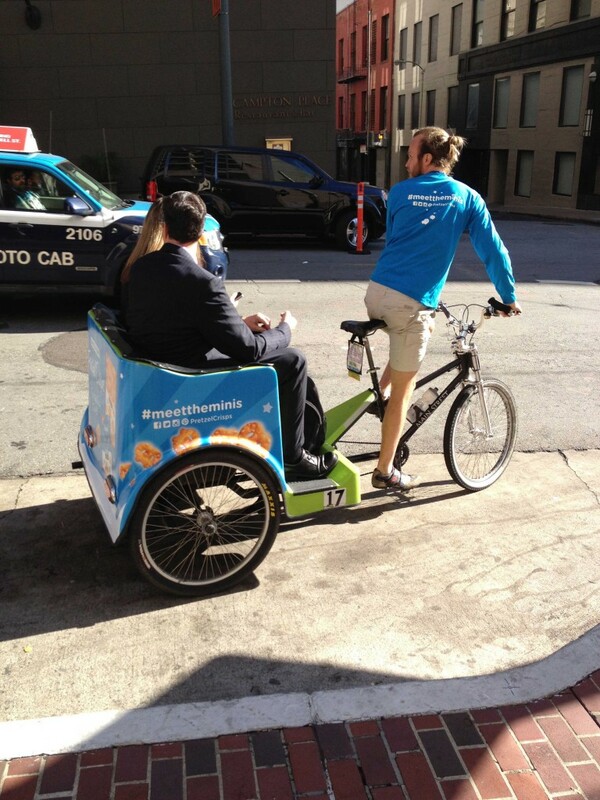 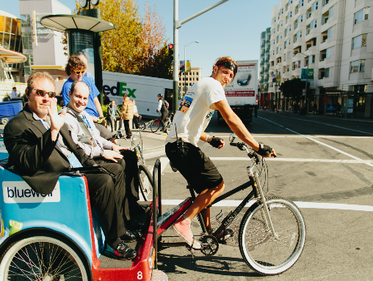 Ten pedicabs were branded with bright blue and white ads. 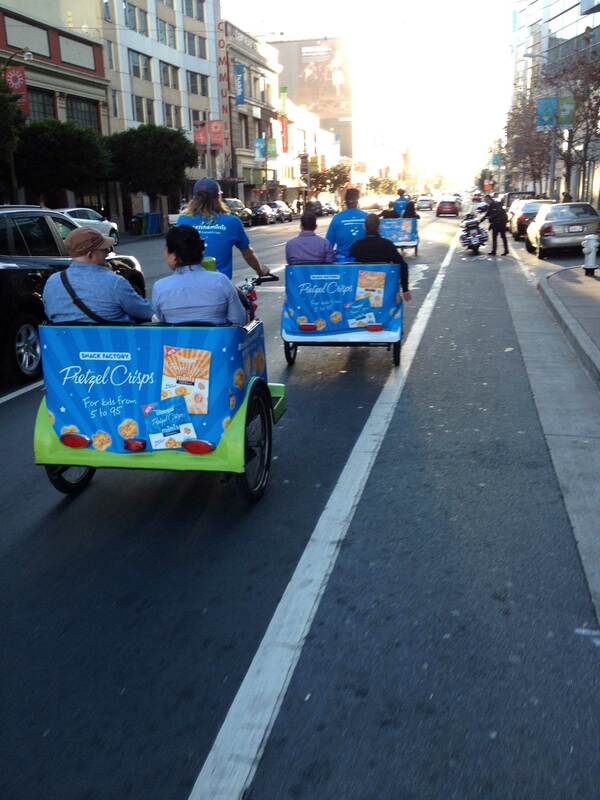 Matching T-shirts, blankets, Pretzel Crisp samples and tote bags were distributed to the team of drivers. 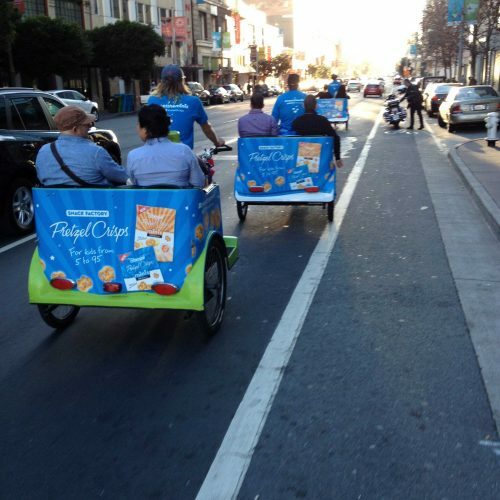 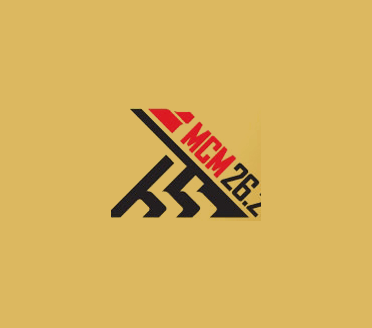 Each day of the campaign, a brief meeting was held with Pretzel Crisps’ representatives in order to review the day’s schedule and the talking points for the brand-ambassador drivers. 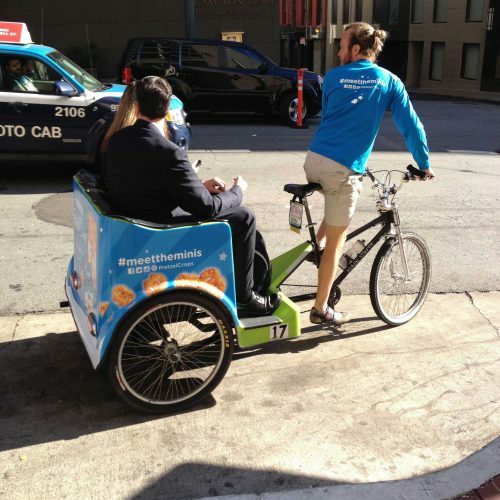 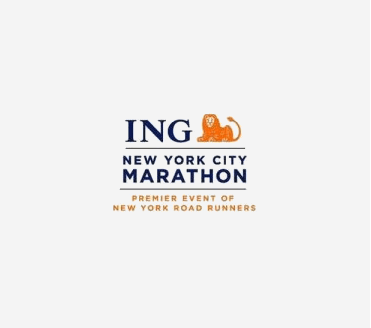 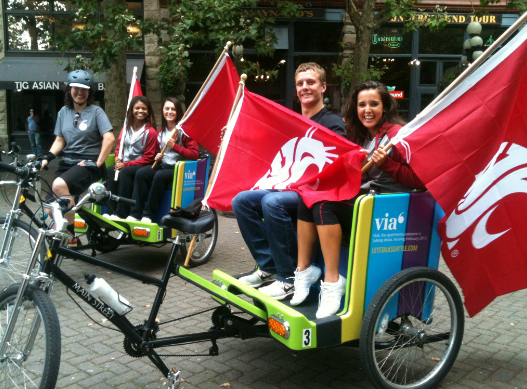 Small groups of pedicabs were then dispatched to area hotels to provide rides for attendees heading to and from the show.